"In her role, Chelsey is expected to take the goals of the strategic plan and turn them into actionable items, handle multiple projects concurrently, set and manage deadlines and work with a variety of constituents such as students, alumni and faculty. 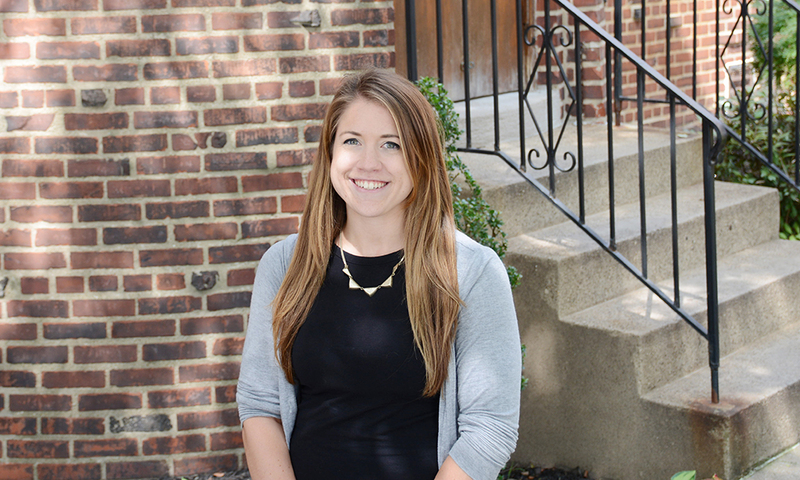 Chelsey has used her own gifts and abilities combined with a quality M.B.A. program to excel as Central Catholic's director of communications." "Having an M.B.A. has helped to set me apart from other communications professionals. As technology progresses, it is becoming increasingly important for marketers and communication professionals to be able to understand and show the value of their work with concrete numbers." I decided to pursue an M.B.A. to become more well-rounded in a business sense. As I was advancing further in my career, I realized how important it is to be able to show your value, and in the end, show the ROI of your work to your employer. I have always been interested in technology, so the management information systems concentration was a perfect fit for me. The classes gave me a much better understanding of business and technology as a whole. How did your M.B.A. help you land the role of director of communications for Central Catholic High School? Having an M.B.A. has helped to set me apart from other communications professionals. As technology progresses, it is becoming increasingly important for marketers and communication professionals to be able to understand and show the value of their work with concrete numbers. I do a little bit of everything! I handle the majority of the outbound communications coming from Central Catholic, including email blasts, social media, direct mail, paid advertising, website updates and our bi-annual alumni magazine, the Quadrangle, among other things. I work closely with our principal, advancement and admissions teams to help them reach their goals. What were your favorite M.B.A. classes and why? Although I was initially dreading having to take a traditional math class, I really enjoyed Accounting for Managers with Dr. Archish Maharaja. Dr. Maharaja was always willing to meet before or after class to help with any issues we were running into, and I really learned a lot about planning and budgeting. I also enjoyed Marketing with Mr. David Sladack, who works full time in a leadership role at Brunner. My first job out of undergrad was in an advertising agency, so it was interesting to hear his perspective and real-world experiences in a classroom setting. I encourage anyone who may not have a traditional business background to pursue an M.B.A. — particularly the management information systems concentration. In addition to receiving a well-rounded education, I was able to network with peers from a variety of different backgrounds, and I still keep in touch with many of the people who I met during my tenure at Point Park!